The List & Send (`common` internally) handler behavior depends on whether it replies a request for a directory or a file. 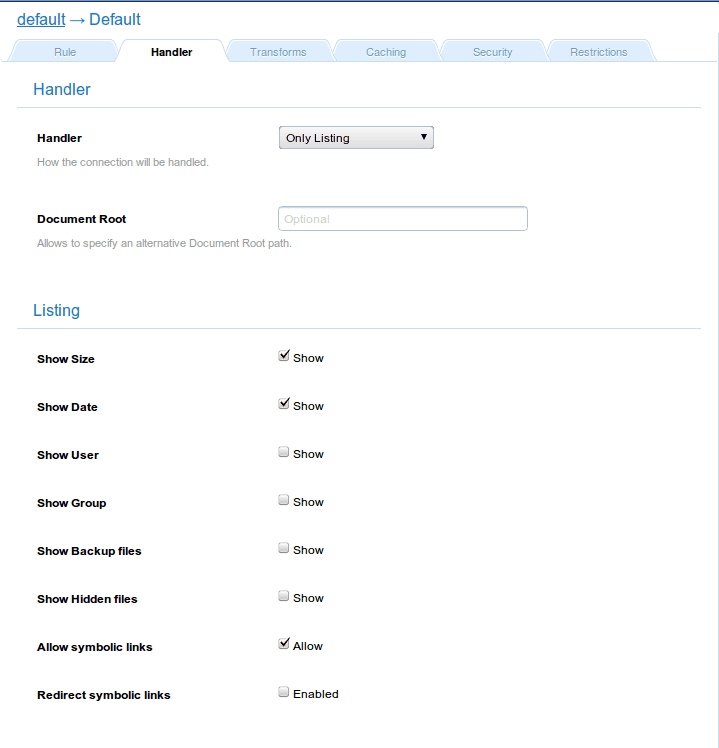 In case a directory is requested, it will use the Listing Only handler in order to list its contents. And, in case a file is request, it will use the File Sending handler. Makes the handler to stop parsing the pathinfo string. Default: Disabled. Enables showing the contents of a directory. Besides, it inherits all the parameters from the file/Static Content and dirlist/Only listing handlers. Here is a basic example. This is the behavior inherited from the dirlist/Only listing handler. 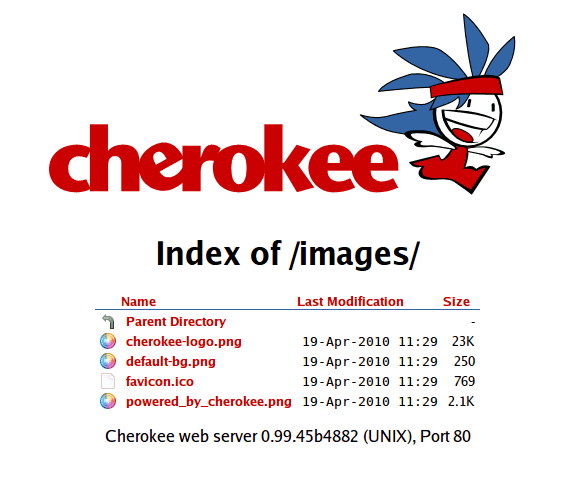 Simply enable the desired file attributes to be shown under Listing, and choose the HTML template to use (default -with the Cherokee logo-, plain -a fixed width theme- and firefox3). You can also include a Notice file to show its contents on top of every automatically generated list. Of course, the lists are sortable by any of the displayed attributes.